ANCIENT ALIENS THEORY: WHAT’S MISSING? The series of excellent television episodes aired on the History Channel in the U.S. in the spring of 2010 called “Ancient Aliens”. The content of these programs were based on the book, Chariots of The Gods by Eric Von Däniken. In addition to excellent visual content, many other contributors from the “mainstream / alternative” UFO and archaeological community contributed an assortment of related material. 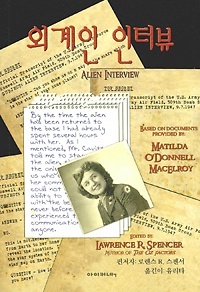 However, anyone who has read the Top Secret government transcripts published in the book, Alien Interview, will note that a great many questions posed by the producers of the program are left unanswered. In addition many of the “theories” advanced to explain these questions provide only incomplete, or partial resolutions. 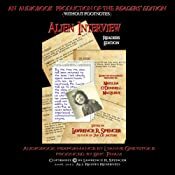 In an effort to provide an “alien” point of view regarding the issues raised in the television series, the following excerpts from the Alien Interview transcripts offer information and answers which may have been overlooked, avoided or simply not conceived by Ancient Alien Theories. “…all sentient beings are immortal spiritual beings. This includes human beings. For the sake of accuracy and simplicity I will use a made-up word: “IS-BE”. Because the primary nature of an immortal being is that they live in a timeless state of “is”, and the only reason for their existence is that they decide to “be”. “The theory of evolution assumes that the motivational source of energy that animates every life form does not exist. It assumes that an inanimate object or a chemical concoction can suddenly become “alive” or animate accidentally or spontaneously. Or, perhaps an electrical discharge into a pool of chemical ooze will magically spawn a self-animated entity. There is no evidence whatsoever that this is true, simply because it is not true. Dr. Frankenstein did not really resurrect the dead into a marauding monster, except in the imagination of the IS-BE who wrote a fictitious story one dark and stormy night. “Most people will not believe any of it, I’m sure. It seems too incredible. No “reasonable” person would ever believe a word of it. However, it only seems “incredible” to an IS-BE whose memory has been erased and replaced with false information inside the electronically controlled illusion of a prison planet. We must not allow the apparent incredibility of our situation prevent us from confronting the reality of it. “Most of the IS-BEs on Earth are good, honest, able beings: artists, managers, geniuses, free thinkers and revolutionaries who have harmed no one, really. They are no threat to anyone except the criminals who have imprisoned them. 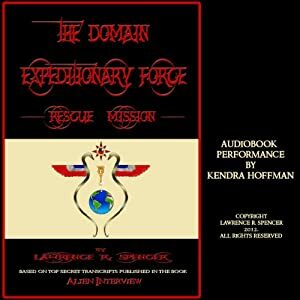 “The Domain is a race or civilization of which Airl, the alien I interviewed, is an officer, pilot and engineer serving in The Domain Expeditionary Force. The symbol represents the origin and unlimited boundary of the known universe, united and integrated into a vast civilization under the control of The Domain. “The actual history of Earth is very bizarre. It is so nonsensical that is it is incredible to anyone on Earth who attempts to investigate it. A myriad of vital information is missing from it. A huge conglomeration of non sequitur relics and mythology has been arbitrarily introduced into it. The volatile nature of the Earth itself cyclically covers, drowns, mixes and shreds physical evidence. “Sophisticated technologies of entrapment and enslavement, which were developed over millions of years in the “Old Empire”, have been applied to the IS-BEs on Earth with the intention to create a false facade for the prison. These facades were installed on Earth in totality, all at once. Every piece is a fully integrated part of the prison system. “Do not rely on the dogma of physical sciences to master the fundamental forces of creation any more than you would trust the chanted incantations of an incense-burning shaman. The net result of both of these is entrapment and oblivion. Scientists pretend to observe, but they only suppose that they see, and call it fact. Like the blind man, a scientist can not learn to see until he realizes that he is blind. The “facts” of Earth science do not include the source of creation. They include only the result, or byproducts of creation. The “facts” of science to not include any memory of the nearly infinite past experience of existence. “Earth scientists do not have an accurate measuring system to gauge the age of matter. They assume that because certain types of materials seem to deteriorate rather quickly, such as organic or carbon-based matter, that there is a deterioration of matter. It is not accurate to measure the age of stone, based on the measurement of the age of wood or bone. This is a fundamental error. Factually, matter does not deteriorate. It cannot be destroyed. Matter may be altered in form, but it is never truly destroyed. “The between-lives amnesia administered to IS-BEs is one of the mechanisms of an elaborate system of “Old Empire” IS-BE traps, that prevent an IS-BE from escaping. This operation is managed by an illicit, renegade secret police force of the “Old Empire”, using false provocation operations to disguise their activities in order to prevent detection by their own government, The Domain and by the victims of their activities. They are mind-control methods developed by government psychiatrists. 1) They are too viciously insane or perverse to function as part of any civilization, no matter how degraded or corrupt. 2) Or, they are a revolutionary threat to the social, economic and political caste system that has been so carefully built and brutally enforced in the “Old Empire”. Biological bodies are specifically designed and designated as the lowest order of entity in the “Old Empire” caste system. When an IS-BE is sent to Earth, and then tricked or coerced into operating in a biological body, they are actually in a prison, inside a prison. 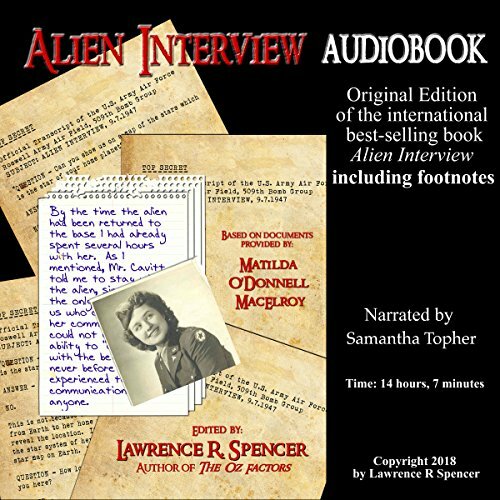 — The above quotations have been selectively excerpted from the Top Secret transcripts published in the book, Alien Interview, by Lawrence R. Spencer, Editor. Thank you so much for this section!! !I am a big Ancient Aliens fan.But since I’ve read the transcripts the show is so frustrating!I wish a few of those professors would read the transcripts!! !That would be awesome!! We agree! However, we also understand that having Amnesia makes it nearly impossible to see through the False Facade of the Old Empire prions system. We are beginning a new campaign to make the transcripts widely available to all. Visit http://www.rally.org/isbealliance for details.